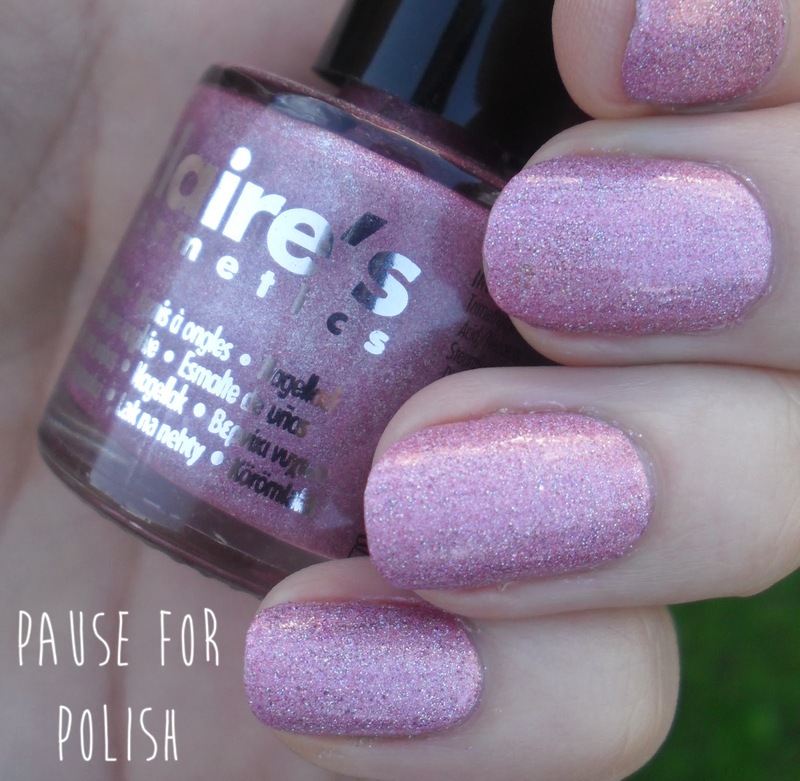 Pause For Polish: £1 Polish Wednesday! 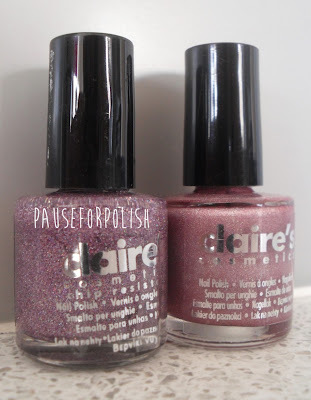 So i present to you two gorgeous polishes, both from Claire's Accessories and both at the bargain price of one pound! 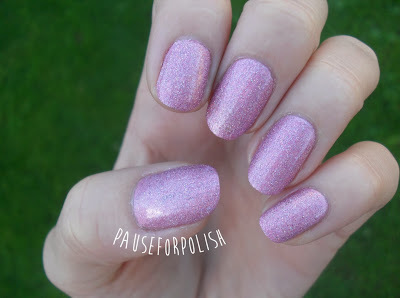 This post is very picture heavy, mainly because i couldn't eliminate any photo's as the sparkles are just so pretty haha! 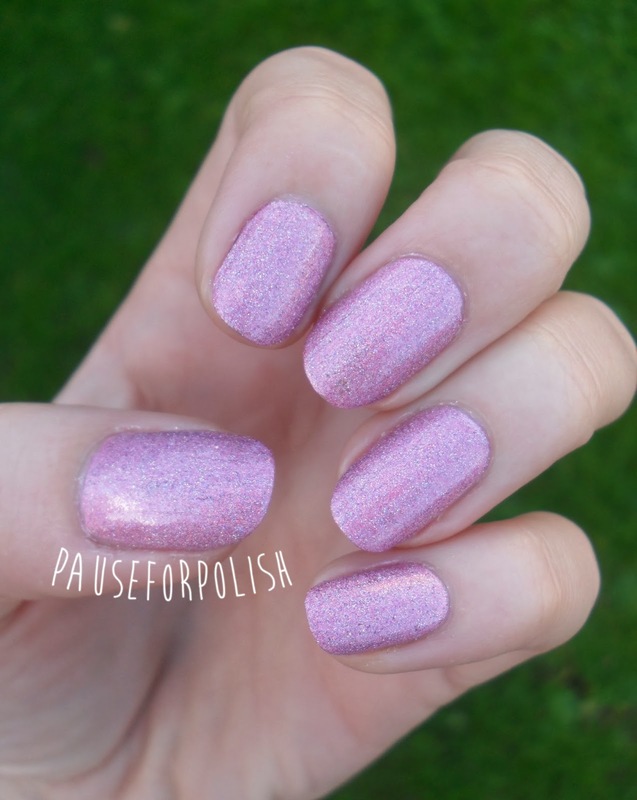 I used the dusky pink as a base and then topped it off with a holographic purple glitter top coat. 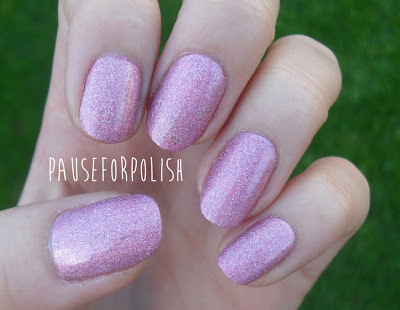 The pink polish looks lovely on and has a matte finish, but is a little tricky when it comes to application. I found you had to paint fast, and in three quick sweeps. Forget fiddling, once it's on the nail that's it! It is worth it though, plus it dries super fast. As for the purple glitter.. well what can i say. It is stunning. If i could marry a polish, this would be one of my.. uhh.. partner choices? Yeah im not sure where i was going with that. Anyway! I only had to apply one coat to achieve this amount of glitter coverage, but i have no doubt you could overload a lot more on with another coat. But less chat, more photos! So there we are, a nice pretty manicure that only cost £2.. yippee! Just before i wrap up the post i thought i'd mention that today's 33DC challenge post will be up tomorrow due to work getting in the way of doing my nails!